There are many types of cameras out there, but when it comes to advanced, interchangeable lens models, nothing is more iconic than the DSLR. The name is practically synonymous with “professional camera,” but a wide variety of DSLRs exist, covering a broad spectrum of users from amateur to advanced. The popularity of the DSLR has waned in recent years with the rise of smaller mirrorless cameras, but it’s still a beloved format by many for a few key reasons. Here’s everything you need to know in order understand what a DSLR is, how it works, and what sets it apart from the likes of mirrorless and point-and-shoot cameras. In the most literal sense, a DSLR camera is a digital single-lens reflex camera. Inside the camera body is a mirror that reflects the light coming from the lens up into an optical viewfinder, by way of either a prism (in higher-end DSLRs) or a series of additional mirrors (usually in lower-end models). This is how you can see what you’re shooting, right through the lens, and is where the term “reflex” comes from — referring to mirror’s reflection. When the shutter is pressed, that mirror flips up out of the way, the shutter slides open, and light coming from the lens takes a straight shot to the imaging sensor where a photograph is made. Another, less talked about advantage is that DSLRs have exceptional battery life because the optical viewfinder draws very little power. Beginner models, like Canon’s EOS Rebel T7i, are usually good for at least 600 shots, while professional models, like Nikon’s 45-megapixel D850, have batteries that can last for well over 1,000. 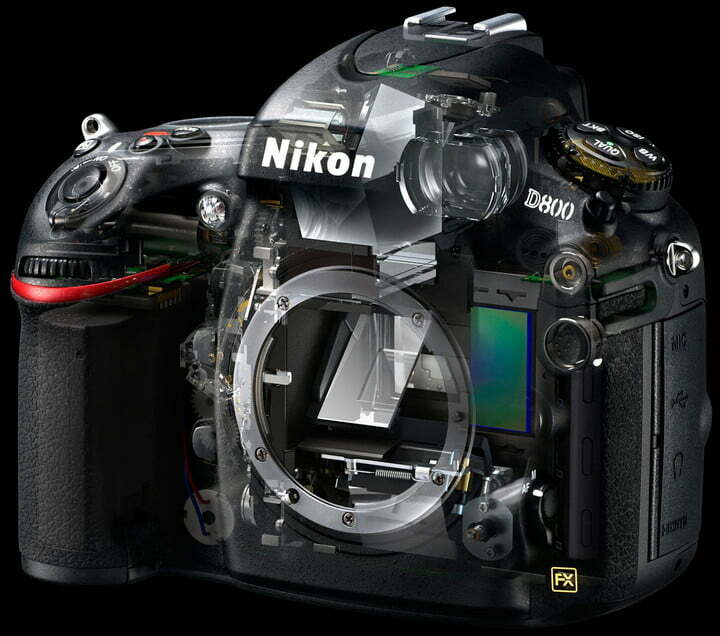 A cut away view of Nikon’s D800 camera. One of the more confusing elements of DSLRs is the sensor. While we tend to talk most often about megapixels, it is the physical size of the sensor, rather than its megapixel count, that gives DSLR cameras an image quality advantage over your smartphone or point-and-shoot. There are two main sensor types offered by DSLR manufacturers: Full-frame and APS-C (often called “crop-frame”). Explained in the most simple terms, the sensor inside a full-frame camera is the size of a standard frame of 35mm film. This is where the term full-frame comes from. APS-C sensors, on the other hand, are about half the size of your standard 35mm negative and, as a result, create what’s called a crop factor. Most manufacturers make lenses for both full-frame and APS-C models, and while all brands allow you to use full-frame lenses on crop-frame bodies, it’s not generally recommended to go the other way around. Some brands, like Canon, don’t physically permit it. On brands that do, like Nikon, using a crop lens on a full-frame body won’t use the entire sensor area and will thus require the image to be cropped significantly. 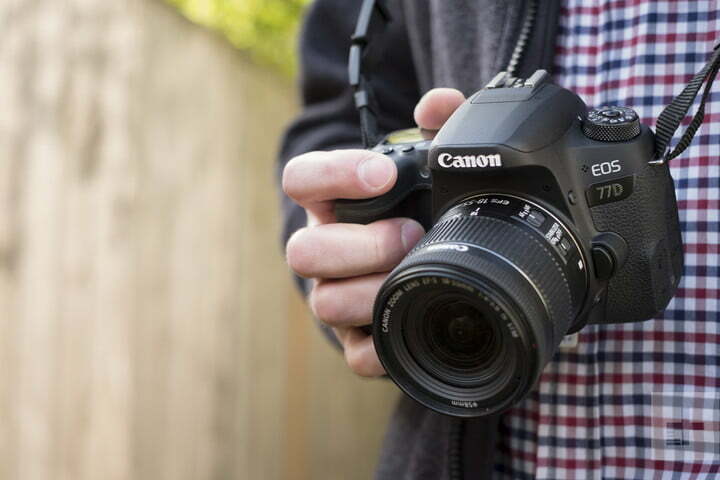 Compared to point-and-shoot cameras, even the smallest of DSLR cameras are much larger. The increase in size makes them a little less compact for carrying around, but means an increase in image quality thanks to, again, the much bigger sensors inside. Those large sensors are especially handy in low-light situations. The bigger the sensor, the more light it “sees,” and the more light it has to work with, the cleaner your image can be. If you’ve ever been disappointed by your camera phone’s performance inside a dimly lit restaurant, that’s an example of the sensor not being able to receive enough light. In the same situation, a DSLR would perform much better. Autofocus is another area where DSLRs beat out even the best point-and-shoots. Autofocus technology inside DSLRs is not only faster, but generally provides much better continuous performance and subtract tracking, which is important for shooting any type of moving subject. The quality of a lens also affects how fast and accurate the autofocus is, and older lenses tend to be slower, but generally speaking, a DSLR is going to focus faster than most other cameras out there. One of the biggest advantages of a DSLR over a point-and-shoot is the ability to attach different lenses to it. As you may have experienced, sometimes the built-in lens just isn’t enough, whether you want to fit more in the frame or want a little more reach for far-away subjects. With a DSLR, it’s as simple as swapping out lenses. A huge variety of lenses exists, from wide-angle models for landscapes, to super-telephotos for sports and wildlife, to large-aperture portrait lenses that create that creamy smooth background blur. Each camera manufacturer has its own proprietary mounting system and accompanying lenses. Third party lens manufacturers, such as Sigma, Tamron, and many others, tend to offer their lenses in multiple mount types to accompany all photographers. If you happen to have lenses from old film cameras sitting around the house, odds are you can even mount those to a DSLR with the help of adapters, such as those made by Fotodiox. So don’t feel like you have to drop a lot of money on lenses to make the most of a DSLR. Mirrorless cameras also have the ability to change lenses, and are generally more compact than DSLRs. That said, DSLR cameras have been around for a much longer period of time, so there tends to be more lens options with DSLR cameras than mirrorless cameras, particularly from third parties. Another strength of DSLR cameras is the ability to use a great deal of accessories and attachments with them. Most any DSLR includes what’s called a hot shoe, essentially an electrified mount on top of the camera. It’s most commonly used for external flashes, but a wide variety of other equipment is designed to attach to it, from microphones to wireless triggers. 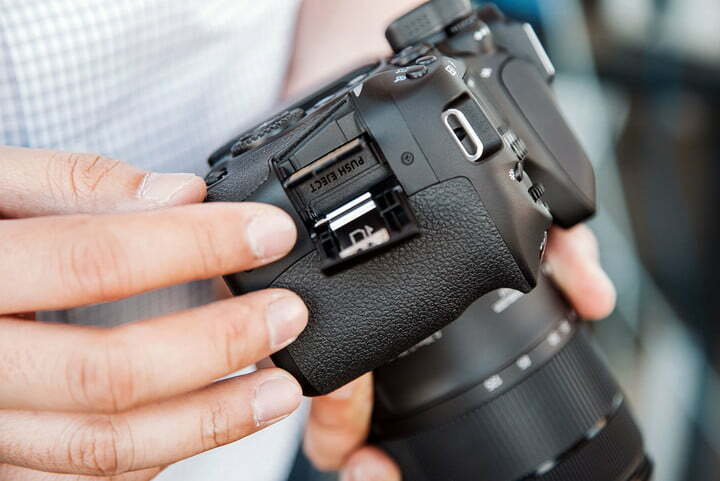 DSLR cameras also have a slew of ports for attaching various adapters, trigger systems, external monitors, microphones, wired flashes, and even GPS modules. This versatility makes it easy to customize the camera to fit your exact needs, whether you’re in a studio or on-location in the Himalayas. Ultimately, that’s up for you to decide, but hopefully this explainer made the choice a bit easier. DSLRs offer great image quality, a huge lens selection, and all-day performance that’s beneficial in many situations. But they are also large and heavy, making them more difficult to carry around.